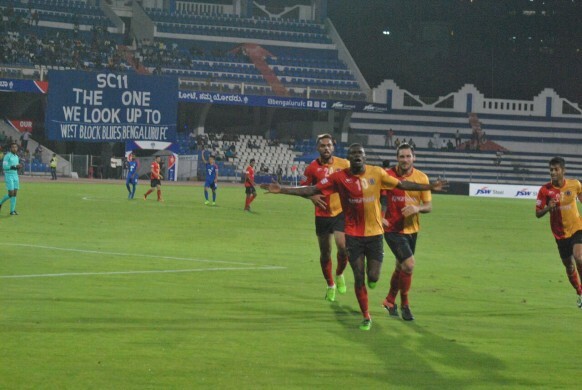 East Bengal gaffer Trevor Morgan was no doubt a happy man after he saw his team defeat reigning I-League champions Bengaluru FC by a 3-1 margin at the Garden City on saturday. The Englishman who returned to the club after a troubled spell under Armando Colaco and Eelco Schattorie has brought smiles back on the Red and Gold faithful. "I think that it was important that we showed a bit of character and a bit of resolve after last week's result because we were poor last week. But I think today the players have earned the right to enjoy after this result," said Morgan. The 60-year old praised his team's approach to the game and felt that each player put in a superb shift to garner a very important result for the Kolkata giants after the team faced some criticism after their tame draw against Aizawl FC. The Brit went on to call out the environment that was created at the Kanteerava stadium and felt that it was a factor in motivating his players to get the result. "It's a great stadium for football and one of the best surfaces we have played on. We came from a game where we played on an astro turf pitch in the hills to one of the best stadiums and pitches in India. You had a fantastic set of fans on both sides. Plus it's a floodlit game which makes it completely different and I think the players enjoyed playing here tonight," said the former Bristol Rovers man. Morgan played down the scuffle that occurred at the end of the match which saw coaches, players and support staff taking part in this. "I don't know. 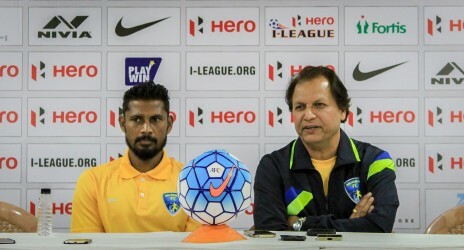 Mehtab was applauding the fans and I think the coach was a little frustrated because they just lost a game at home. I can't really blame him and we might have reacted the same way. So it was not too much and was over in about 10 seconds," opined Morgan. He reserved special praise for former Blues player Robin Singh who scored a fine brace in the game.